Following its recent leak, Lenovo's Moto brand has made the company's latest entry-level devices designed for the emerging market official, the Moto C line. 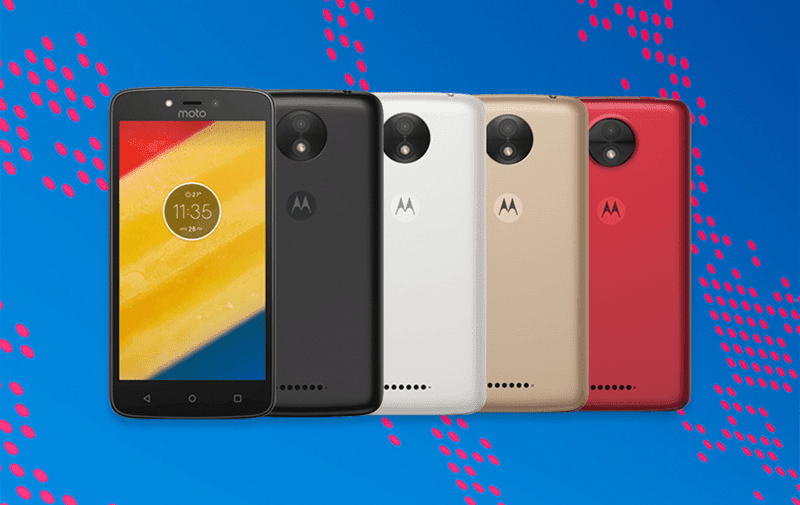 First is the Moto C, it's a 5 inch handset equipped with 5 inch TFT LCD and modest specs. Inside, it's powered by 1.1 GHz quad core chip paired with 1 GB of RAM, 8 / 16 GB expandable internal storage, and 2,350 mAh of battery capacity. On the other hand, the Moto C Plus is the beefier variant. It has a sharper HD resolution, slightly faster chip, bigger 4,000 mAh of battery capacity, and 8 MP autofocus main camera for basic photography. The Moto C in 3G, 1 GB RAM, and 8 GB storage is priced at 89 Euros or around PHP 4.9K. The 4G variant will retail for 99 Euros or about PHP 5.4K. The Moto C Plus starts at 119 Euros or PHP 6.5K. The handsets will be released soon in several parts of the world including the Asia Pacific region.